All well and good but a bit short on detail. To take the above events in order, Riddell was running in the invitation half-mile which was a handicap race. The race was won by L Campbell, Maryhill Harriers, who was off 52 yards and was timed at 1:52.6. In the relay he clearly defeated CB Mein reigning SAAA Half-mile champion who had dropped out of the invitation race with a stitch. Despite running well enough in the relay, Mein was six yards down on Riddell. Unofficially timed at 1:57.4 for the distance it was clear that Riddell was in very good form. Glasgow never lost the lead in the relay. The other invitation events referred to were a 220 yards, where the first two places went to A Kennedy and A Fraser (both Edinburgh Northern), and the two miles team race which went to Caledonia AC. This latter was a ‘club of champions’ formed by Dunky Wright – he had started his career with Clydesdale Harriers, moved to Shettleston Harriers, formed Caledonia which like all ‘clubs of champions’ had a short shelf-life, before finally joining Maryhill Harriers. While it existed it was a good club and in this race they won by 4 points from Maryhill. Individual positions were – 1. WH Calderwood (Maryhill); 2. F Stevenson (Monkland); 3. C Freshwater (Caledonia); 4. D Wright (Caledonia). Freshwater was a Scottish international cross-country runner who joined Caledonia from Clydesdale Harriers. The meeting on 4th June 1927 was not as lucky with the weather and, consequently, the attendance was down. 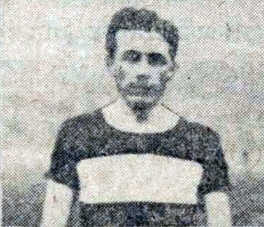 With heavy conditions underfoot and before a crowd of about 4000, the times were consequently not as good, but the Glasgow Herald commented, “The sport throughout was interesting.” The highlight was apparently the running of RB Hoole who won the special 440 yards in 51.8 seconds by two yards. His form prior to the meeting had not been good but he fought all the way to defeat RT Hollinger of Plebeian Harriers. JD Hope, the champion,was ‘of a build not suited to the conditions, better suited to calm than storm’. The two miles team race was a three mile team race – a seldom raced distance – in which Maryhill defeated Monkland by only one point, with the decision being taken on the position of the third man in each team. The statement that It was all the more regrettable, therefore, that the race should have been marred by a series of incidents which were, to say the least, not creditable to the runners concerned. It was all the more welcome that the winner, Donald McLean the Maryhill Harrier, was not in the trouble, and his win was decisive enough to suggest that he is a strong candidate for a title at the championships three weeks hence.” Intriguing! 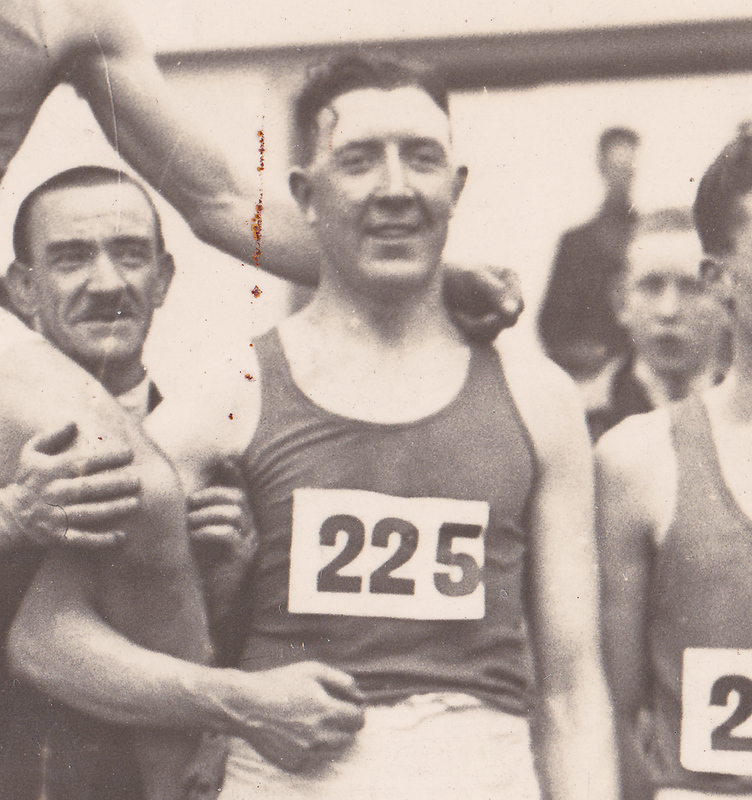 The other main event was the Mile medley relay which was won by Glasgow’s team of RB McIntyre, DD Burns, R McLean and JD Hope. HC Maingay was not able to run in the half-mile for Edinburgh and CB Mein stepped into the team but was not properly fit and totally unable to hold McIntyre which made the task of the next three runners just too difficult. The following year was one where the first Saturday of June had two biggish meetings – an inter-university championship where the star of the show was Hugh Maingay, and the first of a series of inter-club matches organised by St Peter’s AC. No meeting by Queen’s Park that weekend and the following week was one where all events were rained off except for the Singer’s Sports Gala at Clydebank and the Glasgow University OTC meeting. There was also one at far away Hawick but nothing at Hampden. 1st June 1929 saw an attempt on the Scottish native record for two miles at the Queen’s Park FC Sports. A special handicap had been set up for him to go for it with the talented WJ Gunn of Plebeian off 85 yards. Gunn won in 9:32.2 with Suttie Smith, who started rather lethargically before getting into his rhythm, 2.6 seconds worse than the record of 9:31. In the One Mile relay Beith Harriers defeated Maryhill Harriers. There was also a 120 yards hurdles race, an inter-city relay, a high jump, an obstacle race and a 100 yards for Youths, as well as the almost obligatory 5-a-side football tournament which was won by Partick Thitsle who faced Celtic FC in the Final.